Star Wars: Vader Down Review - NewRetroWave - Stay Retro! | Live The 80's Dream! I should be upfront about this. I am a casual fan of Star Wars. In the collective panic attack that was the lead up to Stat Wars: The Force Awakens, I found myself mildly excited. J. J. Abrams had done a good job on Star Trek. The movie would probably be good (which it was). And despite the fact that I easily clocked over 100 hours in “Galactic Conquest” mode in Star Wars Battlefront II, I simply thought the Minions-esque onslaught of Star Wars media and merchandise was tolerable. This is all to say that I approached the expansive Vader Down Marvel crossover comic series with an open mind. The series itself was penned as a team effort by veteran comic book writers Jason Aaron and Kieron Gillen. Gillen is responsible for a number of original titles. In fact, two of my absolute favorite series from the past ten years are Gillen originals (The Wicked + The Divine and Phonogram, go read Phonogram now). 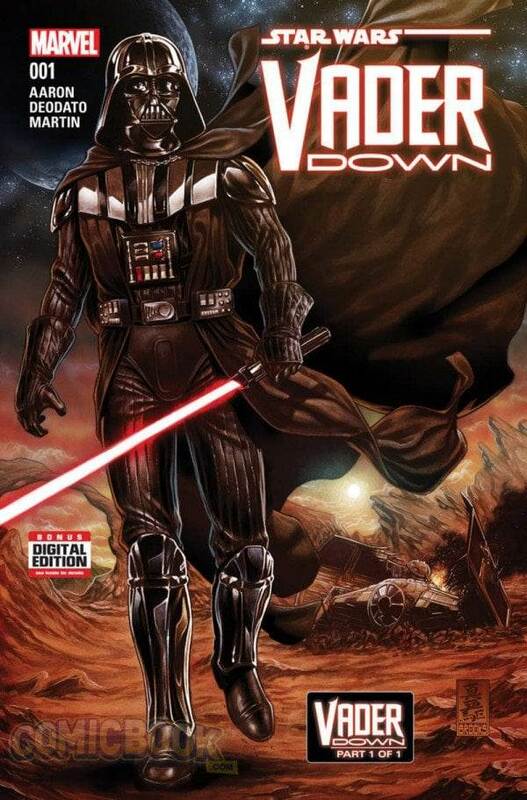 While it’s unclear who was leading the writing duties when, Vader Down‘s writing does not feel as fresh and vibrant as Gillen’s earlier works. It’s not that Vader Down is a particularly bad series. It’s ultimately just mildly forgettable. In the hype surrounding The Force Awakens, the continuity of the series has been exploding in several directions, for obvious financial reasons. Star Wars makes big money. The most glaring aspect of the series holding it back is the dialogue. This is inherently a difficulty in adapting characters from a previously established (let alone overwhelmingly loved) franchise. These characters have specific voices that the reader will undoubtedly hear in their head. Darth Vader is a perfect example of this. He has that voice. He will always have that voice in your head no matter who is writing him. The lines he says can sometimes come across as cheesy. Not campy. Cheesy. The other reason Vader stands out so much in a negative way is that he is carrying this story. Vader Down follows Vader in the time between the A New Hope and The Empire Strikes Back. Luke and Leia also suffer from less-than-exciting dialogue and strange character choices. Of the established characters, Han Solo (and fine, I guess Chewie too, but honestly how hard is it to write HHHRRRHHHH) is the best written. The essence of the character’s personality, and even of Harrison Ford’s iconic performance are captured in the lines. Aphra and 0-0-0 are both the show stealers, and characters I would like to see more. 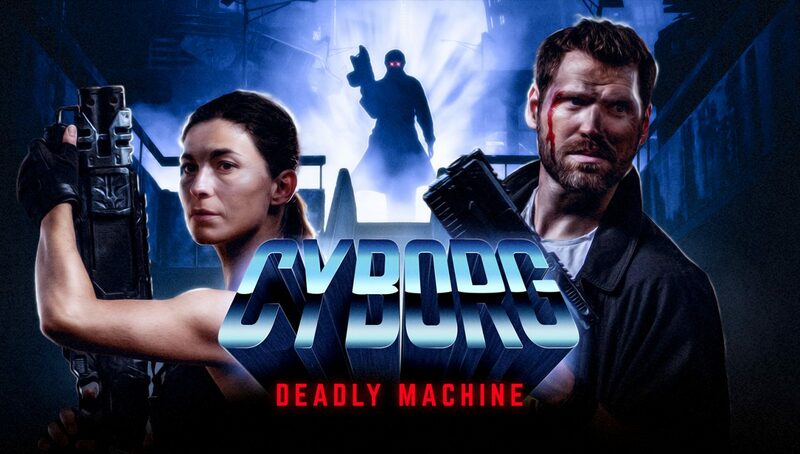 Apart from the fact that they are fun and engaging, bouncing off the cast in interesting ways, they have some interesting unexplored narrative space. The stories of the main Star Wars cast has been told to death. You can’t do much with them in the time between A New Hope and The Empire Strikes Back because we know how they will act and what they will do once the comic is over. Aphra, a sort of morally grey Indiana Jones-esque rogue archeologist, and 0-0-0, a C-3PO-looking droid that specializes in “etiquette, customs, translation, and torture”, are not defined by any of the films in the series. They are free to breathe without the unbearable weight that the films have created on the extended universe. Overall, if you are a Star Wars die hard, there is obvious interest for you here. You will enjoy it, and seeing Darth Vader as ace pilot, as well as an incredibly skilled and mobile melee fighter, will certainly leave you happy. If you are simply a casual fan of the franchise, and in particular if you have never read anything from the extended universe before, this is probably a pass. Something cooler will (hopefully) come out. Or not. Maybe the movies are enough for you.